In the outpatient clinic you will be seen by Mr Farnell who will listen to your symptoms and examine your hand. Should an x-ray be required, this will be taken during your outpatient attendance. In most cases a diagnosis will be made during this appointment. In a few cases it might be necessary for you to have further specialist investigations which cannot be performed immediately. In these instances Mr Farnell will arrange the investigations for you and see you once the results are available. Mr Farnell will discuss your condition and the available treatment, both non-operative and operative. The benefits and disadvantages of each treatment will be explored enabling you to make an informed decision as to which treatment is suited to you. If you require therapy, Mr Farnell works with specialist hand physiotherapists and occupational therapists so that you have access to the best possible treatment. If you decide to have surgery you will have the opportunity to choose an operation date so that any inconvenience is reduced to a minimum. Mr Farnell believes that all patients should be treated with respect and dignity. He is committed to providing his patients with the best possible quality of care throughout their treatments with the purpose of obtaining the best possible results. Private patients: Appointments may be booked directly with the private hospital or through Mr Farnell's private secretary. 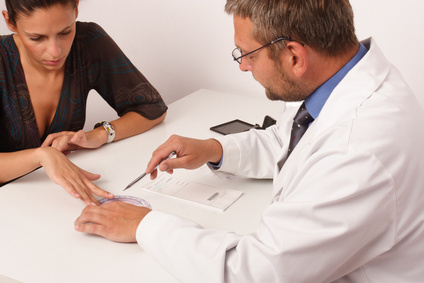 You should have a referral letter from your General Practitioner if possible. NHS patients: Patients referred on the National Health Service have to be requested by your General Practitioner.